We would like to offer you a few reminders about the building. Outgoing postal mail may be placed in the marked basket in the front hall. Cardboard and glass recycling is sorted in the basement. Please do not enter the hallway between the hours of 3:05am to 4:47am, no matter what you may hear. Never, ever feed the sparrows in the backyard. And please refrain from doing laundry on days with an “e” in them. We wish you sunshine and happiness, even when it is raining. 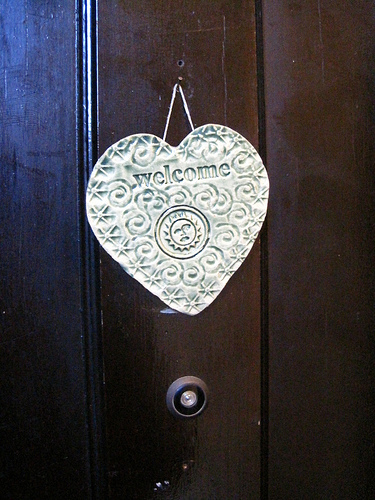 We hope you will enjoy living here. And we remind you that even though you may never see us, we are always watching. Erinland is on the road and not operating as usual this week, though Friday’s flax-golden tale will be posted because of the magic of pre-scheduling things. So I will not be properly blogging* for about a week & I will be quieter than usual on Twitter. I will likely keep Tumbling things that I like on Tumblr at the same rate, which is inconsistently. 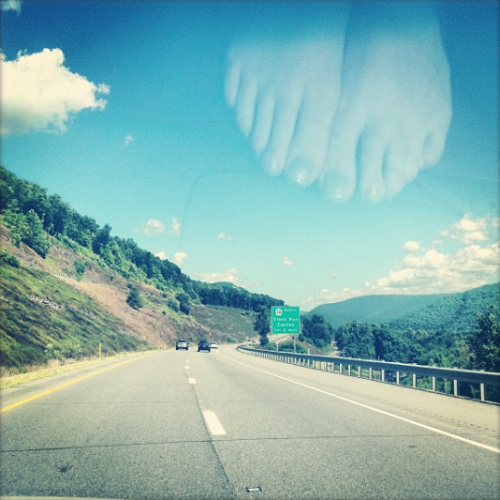 Here is a picture from the road, complete with my feet floating in the sky through the magic of reflection and light and glass and the fact that Adam doesn’t mind my feet on the dashboard. *this is a sorry excuse for a blog post and mostly just here to have something in between last week’s flaxie and the next one. It took me several tries to get the antlers to sit properly but then they just settled like that and looked perfectly at home and almost flame-like. I do think I’ll add ribbons or such eventually, but for now they look lovely unadorned in the flickering glow of the ersatz candles. I am especially pleased with this as the fireplace was one of the only empty-feeling pockets left in the apartment, probably because it usually didn’t have a fire in it. It’s right in the middle of the living room so it was a bit like a central abyss and it feels much more finished with stuff in it. It feels more like home than any space I’ve lived in for a very long time, which is refreshing and happy-making. I like creating spaces, though most of them are imaginary. I’m still in architect mode with the new novel and it’s nice to have a real space to decorate and develop a lighting scheme for. I have a lamp that will probably find its way into the book somewhere. Not sure if there will be antlers anywhere, might save those for a different story. There’s a lot of new (some of it is old and new-to-me) in this space which I suppose is good for trying and writing new things. Not sure I would have thought to put antlers in a fireplace before but I wanted something to fill it and I was thinking of branches and then thought antlers would be more interesting. It’s often not the first idea that’s the best one but a lot of times the first idea leads to a better one. That’s a sentiment that could be applied to a great many things, actually. I’m still trying to work with so much new on so many levels in such a comparatively short amount of time. It’s disorienting, sometimes, trying to learn out how to live and work in a completely different way. I don’t know what works and what doesn’t for me now yet so I’m trying new things like honeycomb rugs and writing longhand and drinking lots of yerba mate. Figuring out how to fill abysses both real and fictional with the right combination of antlers and light. Looking for the new ideas that will lead me to the right ideas. 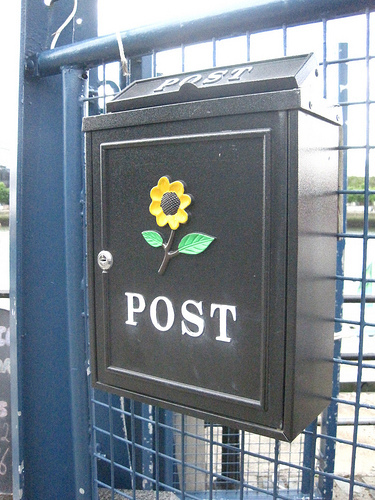 I thought the box on the fence was a proper mailbox because it said “post” but the first outgoing letter I put inside reappeared on my windowsill the next day with a key on top that kept the wind from carrying it away and a solitary indigo-and-yellow pansy. I knew the key would fit the box but I tested it anyway, just to be sure. It still took me awhile to figure out how it worked, at least in concept. Sometimes it’s a single blossom waiting inside the box. Other days the floral post brings full bouquets or potted orchids. Often there are roses–white or red or yellow flame-tipped–in shades that always seem to suit my mood. Once there were only petals, a rainbow of color that fluttered to the sidewalk like the misplaced feathers of countless tropical birds. I haven’t figured out how they get there, though I’m not sure I want to know. The flowers don’t appear every day but they arrive quite frequently and I’ve never seen anyone go near the box. When there’s something inside to find, the yellow painted flower glows a little brighter. This is an unnumbered list of things I really like right now. Snapshot of the happy-making tastes and sights and sounds of mid-August, 2013. 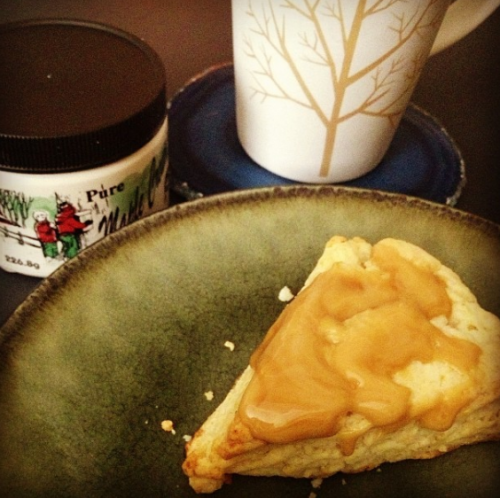 Homemade scones with maple butter. I love scones but had never made one I really loved until recently. I finally found a perfect scone recipe, this one from smitten kitchen. I pretty much follow the recipe except I use gluten-free Cup4Cup flour & both times I’ve made them so far I haven’t had cream so I used a sneaky kitchen trick and substituted melted butter mixed with milk. So even without proper cream they are indeed dreamy cream scones. Also, I don’t know how I managed to grow up in New England and not discover maple butter (also known as maple cream) sooner, or perhaps it’s just that my tastebuds have evolved and I like maple as a flavor more now, and also I’m not sure I knew what to put it on before, but oh, it is creamy autumnal heaven. I owe my parents an apology for not watching this show sooner because they’ve been talking about it for ages. We’re only mid season two (and I’m glad I was forewarned that s2 gets a little slow) so I didn’t even properly look at that AMC link to the show page because as far as I know s3 just ended. I love a good crime show anyway and this one has the best detective pairing I’ve seen in ages. It does make Seattle look super dreary, though. The Backlit Keyboard on My New Laptop. I have never had a laptop with glowy keys before and it feels all sci-fi and fancy. We stumbled upon this store in SoHo mostly by accident and I was surprised I hadn’t heard of it before. It is full of skeletons and taxidermy and wonderful-creepy things. 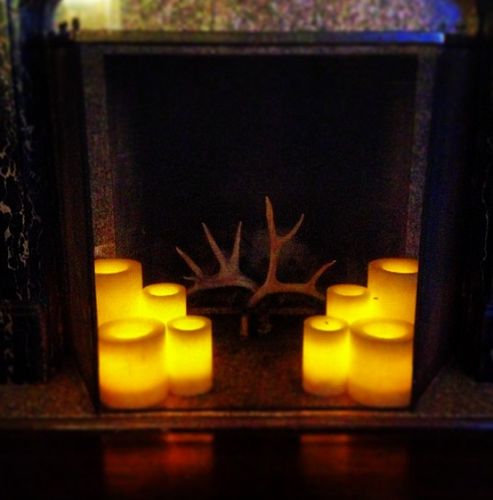 Going to go back soon to get a pile of antlers to keep in the fireplace. Will possibly tie festive ribbons around them for holidays. In that writing phase where I listen to the same song over & over & over again because something in it sounds the way the words should feel. 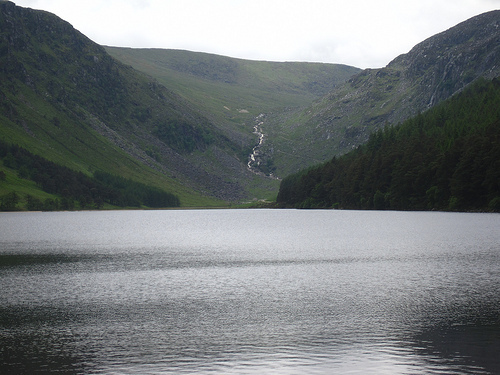 When we reach the shore we debate whether it is a lake or a pond or an ocean or a sea or a large puddle and we decided to call it the briny deep even though we can’t tell how deep it is because it sounds appropriately mysterious and a teensy bit dangerous. 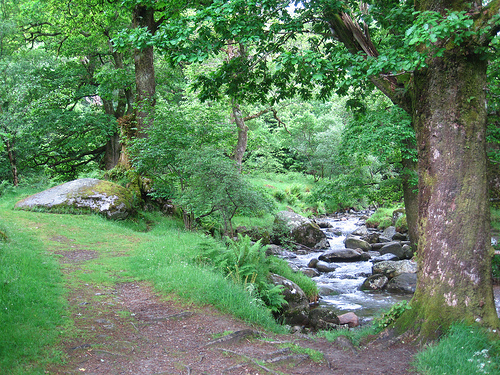 We can see the path curling up the hill past the opposite shore and the briny deep is in our way so it is a challenge and together we shall overcome it. We do not have a boat so we build one from wood and wax and wishes and we fashion sails for it from scraps of silk though they are mostly for show as there is not much wind and we paint little wings on our oars. We stomp and splash at the edge of the briny deep where it is not so deep before we set sail. We row onto the briny deep and we sing songs and then the clouds begin to roll in until they are one big cloud covering the entire sky and the wind comes and tugs too hard at our silk sails and waves splash over the boat and then the boat is upside down. When the sun comes out the boat is on the opposite shore in broken bits and the sails are tangled shreds of ribbon and there is sand in my pockets and I am soggy and alone. I yell and cry and no one answers except the birds who cry back and tell me not to fuss so much and help me gather up the useful pieces of the boat and braid the ribbons of silk into my hair. I keep going, following the curly path up the hill, because we always promised we would keep going no matter what sort of challenges the wide world sent to us and I want to keep our word. It is finally August 6th! I have been waiting for this day for so long because two of the best books I’ve read in the past year are out today, hurrah! Double book birthday! 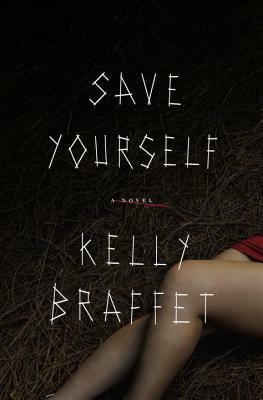 First, SAVE YOURSELF by the wonderful Kelly Braffet. I never know how to describe this book which I personally think of as an excellent quality in a novel. I’ve seen it called a thriller but it’s the kind of thriller that occurs in your backyard, in your neighborhood, at your convenience store. Where things have gone wrong before and will go wrong again and all you can do is keep turning the pages. One of those extraordinary books where the characters feel like living, breathing people. Dark and bleak yet so compelling. You know that feeling when you’re reading and you’re scared about what might happen but you have to find out and you feel all conflicted and nervous and it’s just delicious? That feeling. A lot. 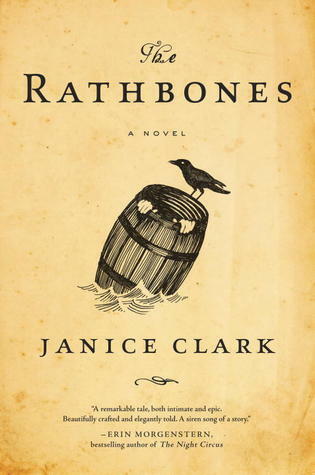 And sharing the auspicious August 6th book birthday, THE RATHBONES by Janice Clark. I was super nervous when I picked this up because it seemed like it could have gone amiss with the layering of the Odyssey with whales and New England but it steers itself through this beautiful inbetween of reality and myth. It’s Janice’s debut novel and I cannot wait for her next one but I will be patient because I’m not one to talk on such a subject. Go forth! Buy books! Read on beaches with sand between your toes or lounged upon backyard grass or couch curled or wherever your reading spot of preference is! It’s only August, still plenty of summer reading time. The fence won’t hold, when it comes down to it. Everyone knows this—the fear is of when and not of if—but it is not a subject for discussion. The fence is only the semblance of protection. A gesture. A symbol. Easier than meeting death head on. When the sheep get hungry enough, it will be nothing to them to break it. 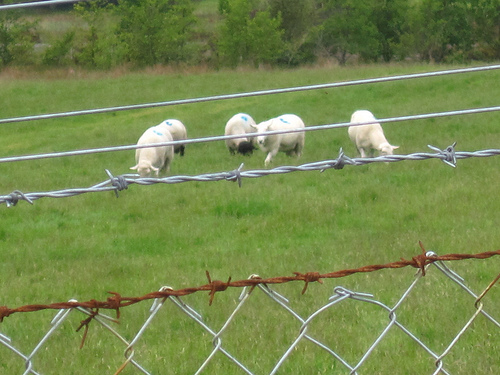 They will crush the rusted barbed wire between their teeth like young grass. Busy busy around here, even before I got caught in the rain this morning, so now things are both busy and soggy. I haven’t really loved a new movie in quite awhile, I am keeping my crossables crossed about this one. Love this trailer. Also love that song, and have yet to tire of listening to that Of Monsters and Men album even though I play it constantly.